Nancy's Nook : Nix perfectionism!!! It's the second day of the New Year... and I'm determined to send good messages out and about on the Internet! 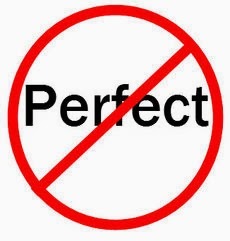 And here is a great article about that: Let Go of Perfectionism, Pleasing and Performing. I really like that article... and it refers to a great book: GRACE FOR THE GOOD GIRL: LETTING GO OF THE TRY-HARD LIFE by Emily P. Freeman whose blog, Chatting at the Sky, is on my list of blogs that I like (right sidebar). Along that line, I took down Christmas today... and I did it imperfectly. YES! I was going to put the nativity scenes in certain boxes, and the snowmen in others, and then decided to just put stuff in boxes as fast as I could...so as to get it OVER WITH!!! And I did overeat during the holidays ... but SO WHAT?! I'm human, for goodness' sake. 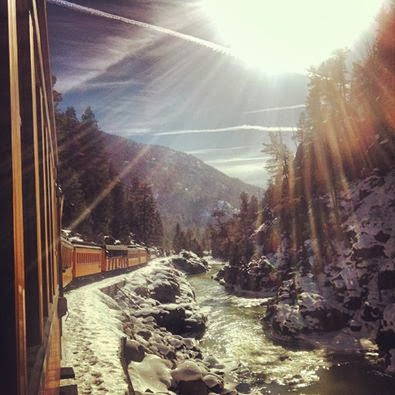 ... with the caption: "Durango/Silverton train". She and her hubby were on that train TODAY! And I'm guessing they took THAT picture. Baylor lost last night in the Tostito Fiesta Bowl. I'm just thrilled we made it to the Tostito Fiesta Bowl. We are humans, not robots-like I tell my students when they are trying to make straight lines and what not. And life would be sure boring if we were all perfect robots. And yes, that is a lovely picture that ryan took!